House of Windsor to House of Glücksburg? On July 17, 1917 HM King George V of the United Kingdom of Great Britain and Ireland changed the name of the royal house from Saxe-Coburg-Gotha to Windsor. With World War I raging at the time there was a considerable amount of anti-German feelings in the land. For many people it didn’t seem right that the King had a German name while they were fighting a war against the German Empire In searching for a name to rechristened the royal dynasty they decided on the name Windsor, which was felt personified and the strength of the country and it also went along with the royal tradition that many European Royal Houses had of naming their dynasties after a Castle. The original Windsor Castle was built-in the 11th century after the Norman invasion by William the Conqueror. Since the time of Henry I, it has been used by succeeding monarchs and it is the longest-occupied palace in Europe. The royal house of the United Kingdom has been known as Windsor now for almost 100 years. Will it remain Windsor one Charles becomes king or will it change? Often when the throne passes through the female line the name of the dynasty will change to reflect the patrilineal descent of the new monarch. This has been the case for the majority of royal houses in Europe although there are exceptions. Some claim that the changing the name of dynasties was the invention of modern historians and that during some of these time periods dynastic names were not consistently used. Even with the kings and queens of England dynastic name changes have not always been consistent. For example, King Stephen was technically a member of the House of Blois but most historians and text books place him as a member of the House of Normandy. The same case happens with William III. Most books place him as a member of the House of Stuart yet he was, in the male line, a member of the Dutch House of Orange. From a Genelaogically perspective, Elizabeth II is a member of the Wettin Dynasty from the collateral branch of the House of Saxe-Coburg-Gotha line via her descent from Prince Albert, the consort of Queen Victoria. Her husband, Prince Philip, Duke of Edinburgh, is a member of the House of Schleswig-Holstein-Sonderburg-Glücksburg. This makes The Prince of Wales and the Duke of Cambridge and his future offsprings members of that dynasty. This is all from a genealogical aspect of course because technically they are members of the House of Windsor. The House of Glücksburg itself is a collateral branch of the House of Oldenburg. The Oldenburg dynasty has ruled in Denmark, Russia, Greece, Norway, Schleswig, Holstein, Oldenburg and Sweden. The question now becomes will the name of the royal house change when Charles succeeds to the throne? There has been no indication either way that it will a change or that it will not change. 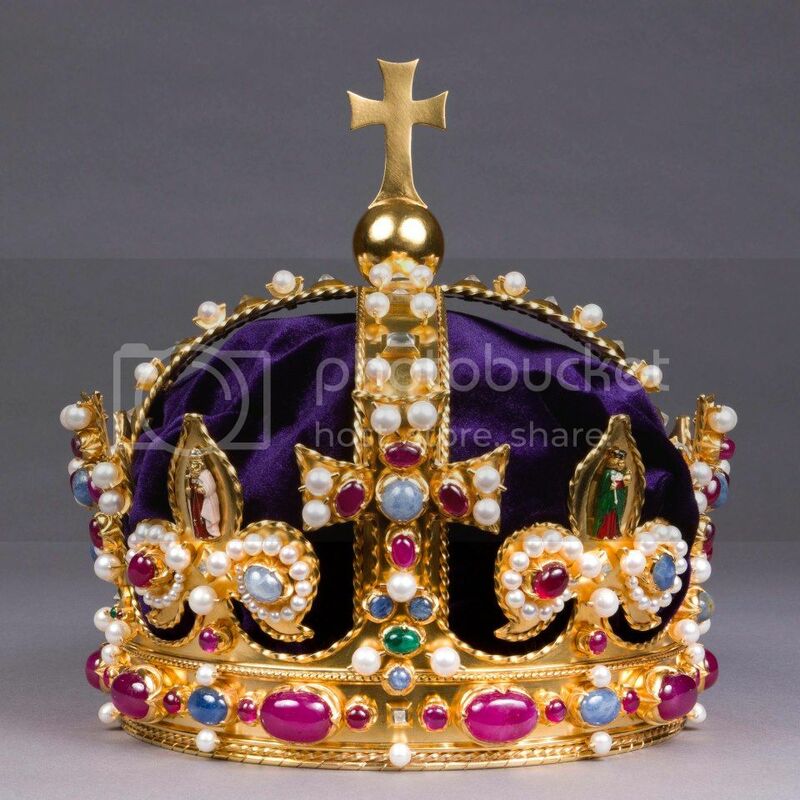 In times past this would not have been an issue and the name of the royal house would automatically change once the Crown passed through the female line to reflect the patrilineal line. With the name Windsor the British monarchy has a name that does not have foreign roots like many of the former British royal houses had. This trend, of adopting or keeping nationalistic names for European Monarchies has become the new tradition. Many extant monarchies have chosen to keep the dynastic name even when passing through the female line. For example, in the Netherlands the dynastic name of the royal family is Orange-Nassau despite passing through the female line in the last three generations. Even further back in time Austria kept the Habsburg name even though the last male line Habsburg, Holy Roman Emperor Charles VI, died in 1740. In Russia the name of Romanov was kept even though the last male line Romanov died with the death of Emperor Peter II in 1730. With Britain now having a gender neutral succession it seems wise to just retain the name of Windsor for the name of the royal family even though it may, or will, pass through the female line many times in the future. With such a proud British (or specifically English) name such as Windsor attached to the royal family this association would be lost by changing it to the House of Glücksburg. It would once again be placing the family name under something foreign and not British or English. Some have theorized that a future Charles III could hyphenate Windsor with Mountbatten, something the queen herself decreed in 1961 for all their descendants who did not hold a royal title, or Charles III could call the royal house the House of Mountbatten or even the House Edinburgh. However, none of those scenarios seem likely. Hopefully this all doesn’t sound xenophobic. My intent was to demonstrate that since the political atmosphere has changed over the centuries when royal families ruled over many different nation-states, and that the modern monarchy is more nationalistic, it makes great sense to abandon that old practice of renaming the royal dynasty when it passed through the female line and to retain a name that reflects and honors the people who the royal family serves. Resuming our look at King Christian IX of Denmark we will begin in the mid 1840s when he began to be a claimant to the throne of Denmark. 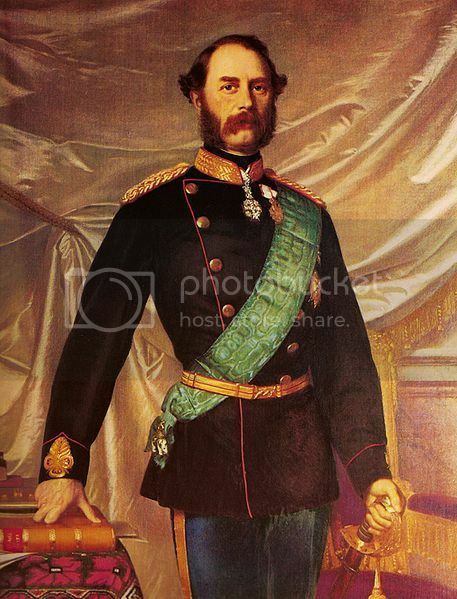 In 1839 King Christian VIII mounted the throne of Denmark and by the the mid 1840s it was apparent that the heir to the throne, Crown Prince Frederik, would not be producing any heirs, nor would Prince Ferdinand of Denmark, the other in line to the throne. The succession to the Danish throne was semi-Salic among the descendants of King Frederik III of Denmark. This means that after all the direct male descendants of Frederik III had died off those of the female line could inherit the throne. The problem with the extinction of the Oldenburg line was not too problematic in Denmark as far as the Danish throne itself was concerned. The problem was with the twin duchies of Schleswig-Holstein. These two territories have been claimed by both the Kingdom of Denmark and the Holy Roman Empire for centuries. The history of these duchies is too complex to do it justice in this simple post on this blog. Suffice it to say that by the 19th century the question of what to do with the duchies was vitally important as German nationalism was on the rise and the question to which state did these duchies belonged, had to be resolved. From the Danish perspective, finding an heir who also had legal claims to both Denmark and Schleswig-Holstein would resolve the issue. However, finding and heir who held claims to both presented a rather large problem. The closest female relative of Frederik VII was his paternal aunt, Princess Louise Charlotte of Denmark, who had married Landgraf Wilhelm of Hesse-Casse. Their eldest son, Friedrich Wilhelm, was also a possible heir. Louise Charlotte and Wilhelm had five daughter and one of the eldest, Louise, was married to Prince Christian. The problem was that since they were not agnatic descendants of the Danish royal family they were not eligible to succeed in Schleswig-Holstein. The female heiress of the House of Oldenburg considered most eligible according to the original law of primogeniture established by Frederik III was Princess Caroline of Denmark (1793–1881) who was the eldest daughter of the late king Frederick VI. The problem with Caroline was that by 1847 she was 54 years of age and childless and incapable of producing an heir. Her sister, Princess Wilhelmine of Denmark (1808–1891) presented a similar problem. She had been married and divorced from her cousin, the future Frederik VII, and her second marriage was to Karl, Duke of Schleswig-Holstein-Sonderburg-Glücksburg, the older brother of Prince Christian, and this union was also childless. The next female heir was Princess Louise of Denmark, sister of Frederik VI, who had married Friedrich Christian II, Duke of Schleswig-Holstein-Sonderburg-Augustenburg. By the 1840s the heir to that line was the her grandson, Duke Frederick of Augustenburg, who would lay claim the throne of Schleswig-Holstein in 1863. The House of Glücksburg, the line from which Christian IX descended, also desired the succession to the throne. Even though this was a Junior line of the Danish Royal House and did not hold a claim according to the laws of succession which limited the succession to the throne via the male line of Frederik III, they were also descendants of his through the daughter of King Frederik V of Denmark and after the extinction of all the male descendants of Frederik III the Glücksburg line did have claims to the throne. There were many other issues besides his direct genealogy that made Prince Christian a suitable claimant to the Danish throne. At one point he had been a a foster “grandson” of the Frederik VI and his Queen consort Marie Sophie (born Princess Marie Sophie of Hesse-Cassel). During his time spent with Frederik VI and Marie Sophie he had become familiar with the royal court and the traditions of the Danish kings. Despite belonging to a line of the Royal Family that was Germanic in every way, Christian was raised as if he were Danish and he lived in areas that were Danish-speaking and he shunned German nationalism. He did hold a distant claims to both the thrones of Denmark and Schleswig-Holstein although there were people who had superior claims. As was said last week, in 1842 Prince Christian had married a woman, Princess Louise of Hesse-Cassel, with a better claim to the throne than he himself possessed. In 1842, Louise’s mother and brother, and elder sister all renounced their rights to the thrones of Denmark and Schleswig-Holstein in favor of Louise and her husband. Prince Christian’s wife was now the closest female heiress of Frederick VII. In 1852, the difficult question of Denmark’s succession was resolved by the London Protocol of that year. The London Protocol selected Christian as next-in-line for the throne after Frederick VII and his uncle. This decision was made a law in Denmark entitled the Danish Law of Succession of 31 July 1853. It was at this time his wife rennounced her claim to the Danish throne and Prince Christian was granted the title of His Highness Prince Christian of Denmark. In 1858 he was raised once again in rank to His Royal Highness Prince Christian of Denmark. On November 15, 1863 King Frederik VII of Denmark passed away and Prince Christian succeeded to the throne of Denmark as King Christian IX. Well, I see I have still a way to go before I am done…so stay tuned to next Friday for more on Christian IX. I am not sure if I will complete it next week, but we shall see!